Ukrainian Entertainment provider Kvartal 95 has organized a major music and humor festival Made In Ukraina in Latvia at the end of July. From July 21-24, Kvartal 95 aired the best of its Vecherniy Kvartal entertainment show, comedy championship Humor Cup and a music concert Yurmaleto. The festival opened with a big outdoor concert in the historic center of the capital of Latvia – the City Hall Square. 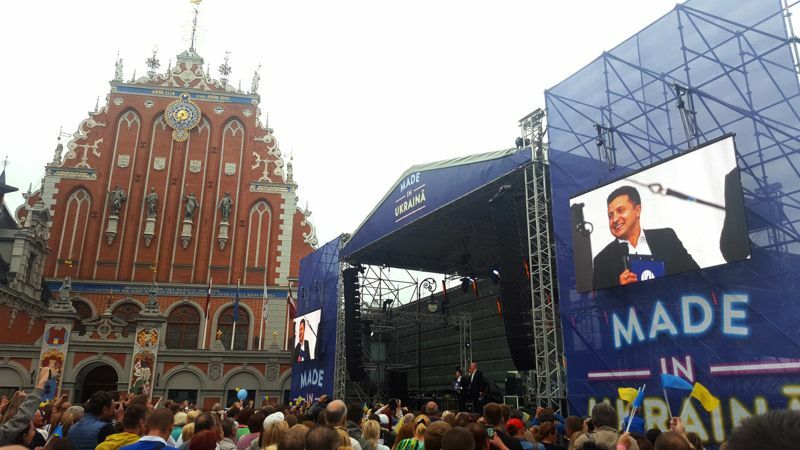 In front of the stage gathered a few thousand people meeting actors of Kvartal 95 and the most popular Ukrainian musicians.